In the walks of life, there are opposites. While some people are perceived as beautiful, others are perceived ugly. The latter makes for a character who can't get the girl or has no chance of being asked to prom by the hunky quarterback. Fortunately, fiction has a cure that's sure to turn heads. Beautiful All Along - (mistaken for The Glasses Come Off) A character, initially portrayed as ugly, plain, or homely, who undergoes a metamorphosis that turns them into the most beautiful or handsome of all. Hermione Granger - who would suspect that Hogwarts' buck-toothed and frizzy-haired know-it-all would become the main eye-popper at the Yule Ball? Nothing grungy about this Granger! 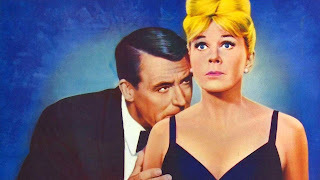 This trope is typically used with female characters (but has a special place for male characters in comics - often involving genetic mutation over a salon makeover). Ain't that right, Mr. Rogers? Closely associated with this trope is She's All Grown Up, when a childhood friend matures and becomes someone you start thinking of as ... more than friends. "More isn't always better, Linus ..."
In That Touch of Mink, a character toyed with this trope by asking his secretary to let down her hair and take off her glasses. She does, but he looks at her, unimpressed. "Gee ... it always works in the movies!" 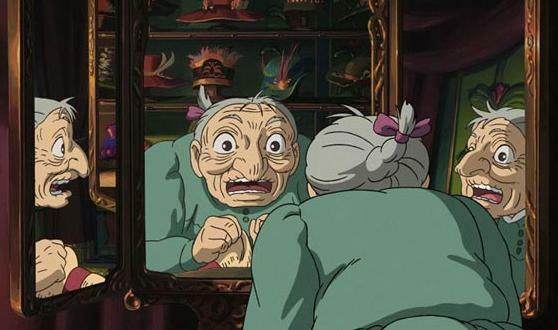 In Howl's Moving Castle, the main character doesn't think highly of her appearance. Being changed into a granny certainly sent her low self-esteem for a whirl. Do you have a Beautiful All Along character? Guy or girl? What kind of makeover did they have? I'm David, and I sure could use a haircut! I don't have a Beautiful All Along character, but I have always loved the whole Cinderella type story where the servant becomes the one in charge. That's what happens, right, the character becomes gorgeous and gets all the power! I have had a heck of a time getting your blog to come up through the blogger dashboard, by the way. I have also had trouble leaving comments on a variety of blogs, which is why I'm using anonymous. That seems to work. Just wanted to let you know in case I wasn't the only one. I'm Lara Schiffbauer, btw! This wins post of the day for mentioning Howl's Moving Castle. Not the best Miyazaki film, but all Miyazaki films rule. Actually I kinda do in an offhanded kind of way. Aislinn, the MC in Woman of Honor, lives in a medieval fantasy world so their idea of beauty is long hair and pale white skin whereas she's a knight so she has her hair short and she's tan from all the hours in the sun. But just because she doesn't fit society's definition of beauty doesn't mean she isn't still beautiful to someone. I have a sort of Captain America character who is braver and stronger than he thinks. It's hardship that brings out his metamorphosis. There's a crucial moment and he steps up. Great post! :) BTW, you've been awarded the Versatile Blogger Award. I know you're crazy busy, so whether or not you choose to participate is your call. But we love your blog and appreciate your comments! Anyway, just finished reading a book where this is used. Love it. There's a tangent of this idea that I love and find profoundly inspiring — when love flourishes at its deepest level although no physical changes occurred, no metamorphosis of beauty shifted a person's emotions. The supposed ugly duckling was beautiful all along. 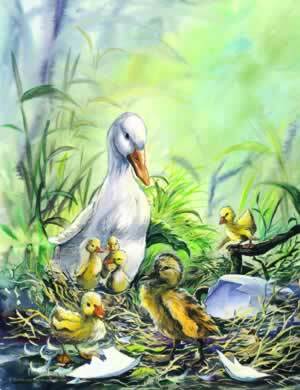 And though the casual observer is oblivious to this truth, the beauty of the duckling's spirit renders their physical attributes truly, vividly, undeniably beautiful—far surpassing the appeal of mere physical beauty. A person's spirit is a powerful, astounding source of magic to themselves and those who love them. Oh, I see. You're right, there is difference. I don't have this in my book, but I sure do love it! Another fabulous trope! I like this trope. It's fun. Especially for younger kids, because they all feel ugly when going through that "awkward" stage. :) Love your examples too! My heck man - you know everything! I like this tool to a certain extent. I really like a character growing into themselves. Finding out who they are. But I don't like it when the person only likes themselves when they change. I don't have this in my writing, YET. I do have a few ideas that are similar. I love this trope. And I agree with Leigh that I think it really helps kids going through the "awkward stage." This is one of my wife's favorite motifs (one she keeps telling me to put into my stories), sounds like a good idea. I agree too. That awkward "ugly" stage can help someone be outstanding. This is a great trope to use. People like that sort of story. Look at all the make-over shows on TV these days. Maybe I need to take off my glasses...and shave. I love that clip!!! Very funny. One of my characters is sorta like that. It's more that she becomes more comfortable and shares more of herself. She doesn't physically change at all, but her inward change makes her 'more beautiful' to those around her. Beauty is in the eye of the beholder, don't you think? 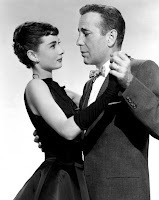 And I think that in the case of the Princess Diaries...the lesson is not that there is beauty within that just needs a little coaxing more than there is the lesson that with infinite money, anything can look good. I've never used this trope, though it's a good one to remember. Usually I get so focus on the story that I never remember to think about characters appearances, and consequently never think about using their looks to further the story. Food for thought here. The transforming power of beauty is appealing, I think, because it speaks of emerging confidence. Even in a perfect world, where everyone is gorgeous, confidence would set some above others. The ability to think of oneself as appealing is more important than actual beauty, in my opinion. That kind of development can make a character shine...and I think you're right, authors do need to keep this trick in mind when writing. But even then, the so called miraculous makeover on a particular event was glossing over the basic fact the person/s concerned had the "looks" in them all along... just didn't seem to care that much about it. I mean when one is busy cramming for exams or chasing dragons or aliens, tons of makeup and hairdo isn't a priority. And they invariably go back to near normal again atleast in books. I think,it just represents the author's perception of the shallow real world, maybe often their own experiences or unfulfilled dream of such a moment in their lives. Can't Buy Me Love. 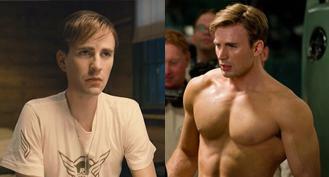 He went from geek, to chic, to zero. I think this trope works well because it happens all the time in real life, too. I mean, look at what happened to the actor who plays Neville Longbottom in Harry Potter! I think it works especially well in YA because it's common for ho-hum/awkward pre-teens to grow into themselves. I admit, it's a trope I actually love! Oh, how interesting. You're right; this pops up a lot and people love it. I've written a character who was mutilated in some ways and so was convinced her body was ugly, but that's probably as close as I've come. I've recently found that I like taking things that characters see as their weakness--like, for a random example, the character is supposed to be a brilliant carpenter, because all of her family have been brilliant carpenters for generations, and everyone has said she would be the most brilliant of all--and in the end, she finds that she might be a crappy carpenter, but she's okay with that, because it's not what matters. I do have a character, a girl that's like this. However talented she is, she is not comfortable in her own shoes until she undergoes and life-changing incident and is forced to evaluate and embrace her inner and outer beauty. While it's kind of a terrible movie overall, my favorite subversion of this trope came from Not Another Teen Movie, where the popular girl has to make the "ugly, weird" girl beautiful. (Said ugly girl is Chyler Leigh and already totally gorgeous.) There's some montage music, she slowly reaches up and... takes off the nerdy girl's glasses and her ponytail. "There! I'm a miracle worker!" Plugged your contest yesterday, David!